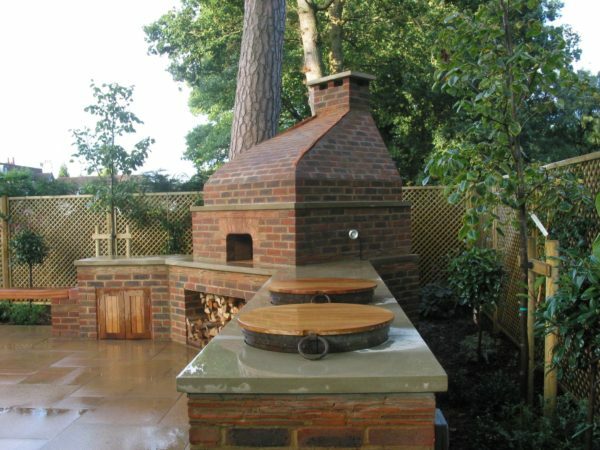 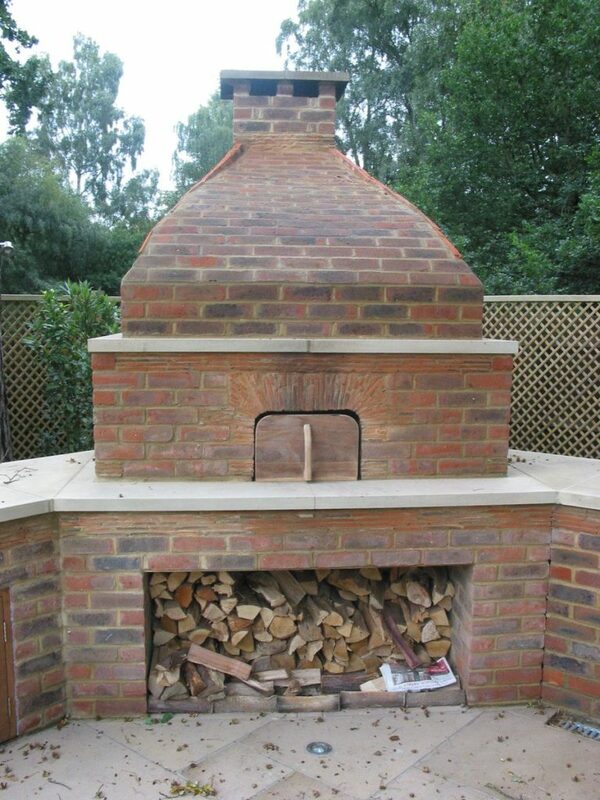 We had an enquiry in 2011 asking us to develop a plan for an outdoor kitchen and hand-built brick oven with prep surfaces to go in the garden of a new build house in Little Chalfont, Buckinghamshire. The new house was styled in an Arts & Crafts manner using nice mellow Michelmersh red bricks and tiles so we picked up details from the build to use in the outdoor kitchen. 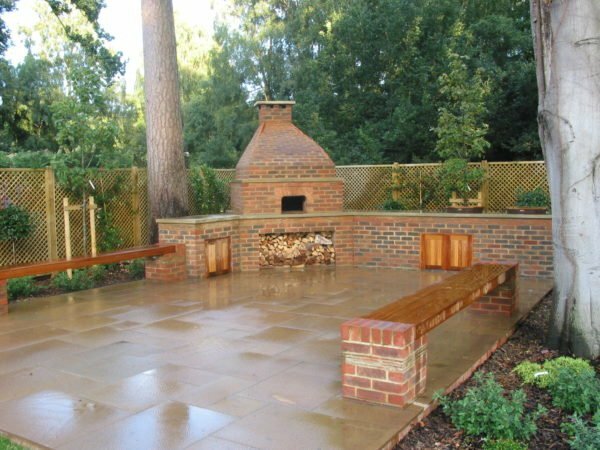 The client, a co-director of a large multi national, was adamant he wanted a completely bespoke build, all hand-made to go with the garden he had commissioned from a local garden design company. Working with Rob Donaldson from Garden Craft Landscapes, we put together a plan around which he could do the landscaping and new planting and gave the client a bespoke build of a true hand built 120cm diameter brick wood-fired oven enclosed by hand made brick walls and wings. 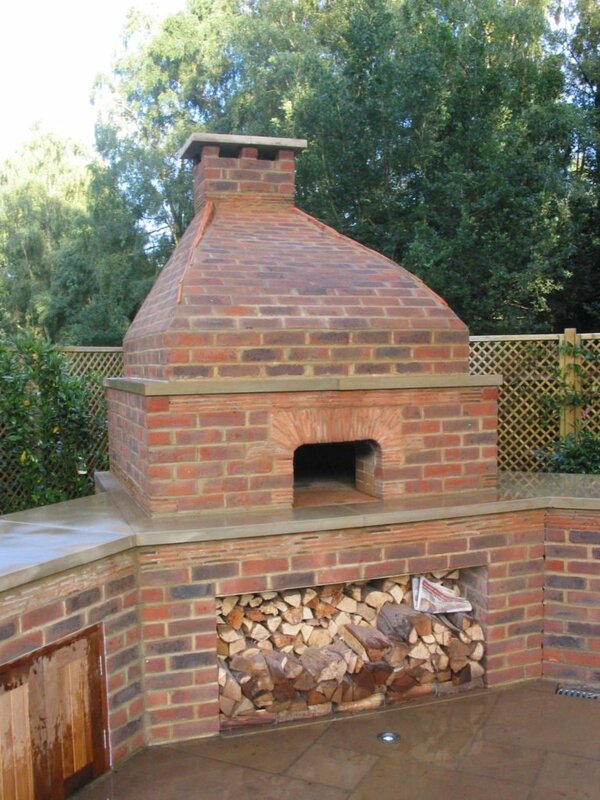 The final build used steel Kadai set in diamond sawn York stone worktops, up lighters behind and plenty of storage. 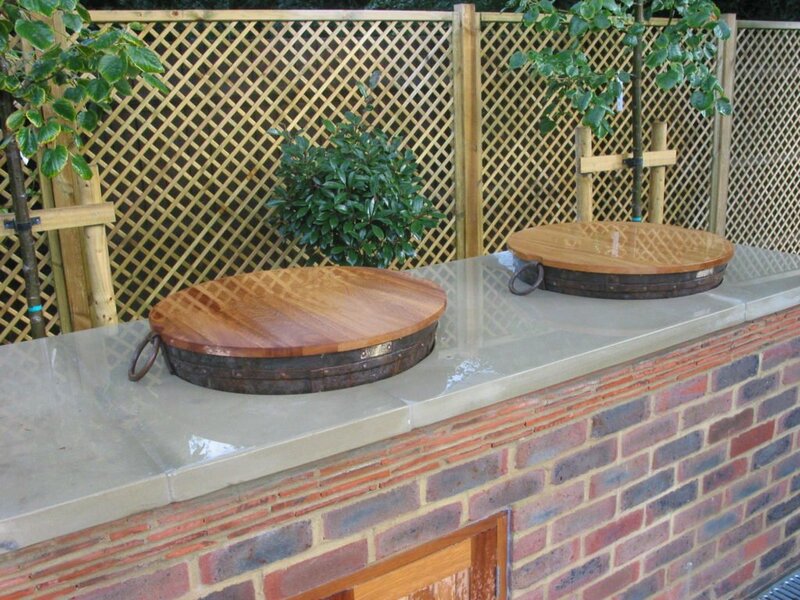 We later retrofitted an LPG paella burner and lava stone into one of the Kadai so the client could heat up food very quickly and rustle up breakfast on his weekends off.